New, direct replacement upper & lower stock A-arms for Polaris AXYS with React front suspension. 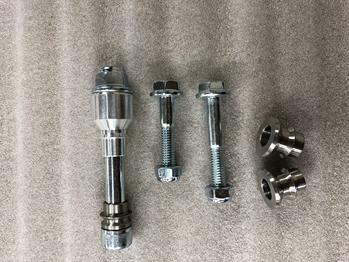 Easy installation, all hardware, parts included. No modifications needed. Direct OEM replacement. Durable black, powder coat finish. Special design to enhance clearance. Narrow width allows for more maneuverability and tighter technical terrain riding. Upper A-Arms on the Frame Series Polaris A-Arms are stress relieved and CAN NOT be Powder Coated. Only Air Dry Finish Allowed. We offer Uppers in stock colors of Flat Black or Polished Aluminum (Also White Air Dry available as a Custom color (see info below). Lower A-Arms can be Powdercoated. We offer lowers in stock colors of Flat Black or Polished Aluminum. Standard Powder Coat Colors Available as a Custom Option. Choose Custom color when ordering and when checking out please state your color in the comments section. Note on Shocks: It is Highly recommended that front ends be purchased with shocks as the shocks are tuned for the concept front suspension. 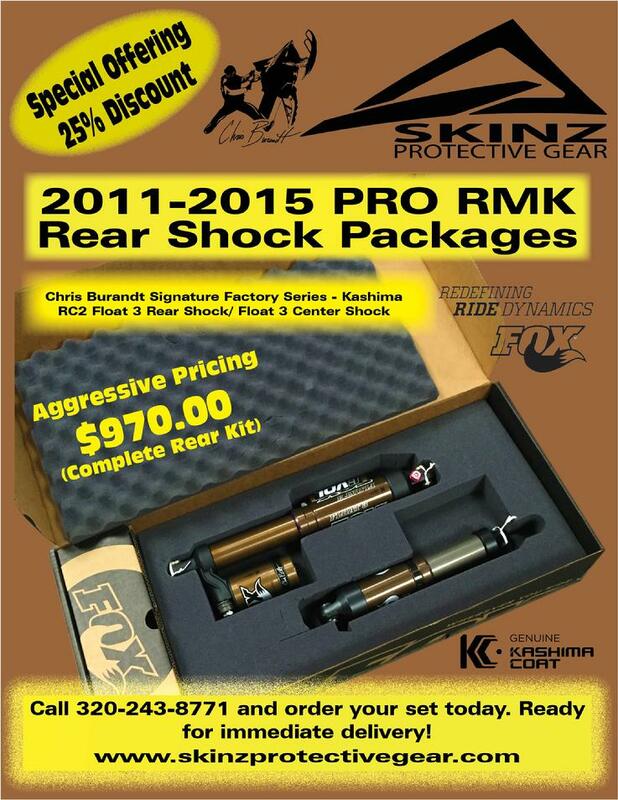 Although any shock OEM length with spherical bearings can be used on the 38" and the 42" front ends. Polaris AXYS Stock Replacement A-Arm Upper Right AXYS RMK Narrow Front End 40"
Polaris AXYS Stock Replacement A-Arm Lower Left AXYS RMK Narrow Front End 40"
Polaris AXYS Stock Replacement A-Arm Lower Right AXYS RMK Narrow Front End 40"
Polaris AXYS Stock Replacement A-Arm Upper Left AXYS Wide Front End 42.5"
Polaris AXYS Stock Replacement A-Arm Upper Right AXYS Wide Front End 42.5"
Polaris AXYS Stock Replacement A-Arm Lower Left AXYS Wide Front End 42.5"
Polaris AXYS Stock Replacement A-Arm Lower Right AXYS Wide Front End 42.5"
◊Understand the importance of shocks to your sled geometry, handling and overall performance. ◊Also covers setup, maintenance, common problems and misunderstandings.